In my last post, I mentioned that I’d share helpful information and resources from a variety of sources from time to time. Well, it certainly didn’t take me long to find another great resource!! As she shared in her guest post, Lydia fully recovered from her years of binge eating after reading Brain over Binge. In fact, her testimonial is now on the back cover of my new book. Lydia has been a coach for years and has coached over 500 clients. 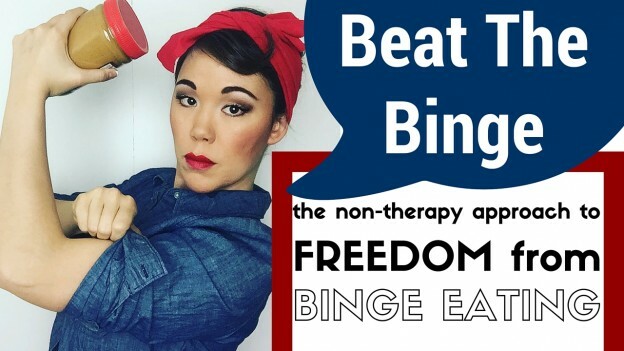 She now specializes in helping women have freedom from binge eating, and her program aligns with the Brain over Binge principles. I wanted to offer all of you the chance to receive this free 4 part video series. Just click the image and you can sign up for the training. The first video will be delivered to your inbox April 11th. If you want to check out Lydia’s weekly videos, head over to her channel at www.LydiaVideo.com. ← So, How Do I Lose Weight?